Brother pocket token measures approx. 1" and is made of lead free zinc. 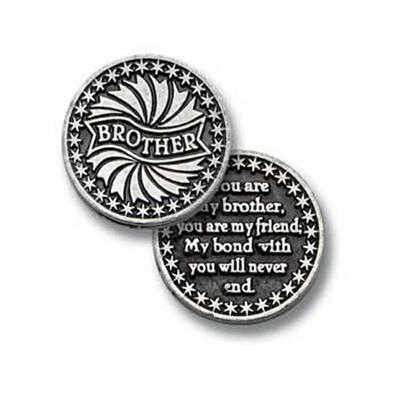 Brother adorns the front, while the back reads: You are my brother, you are my friend. My bond with you will never end.